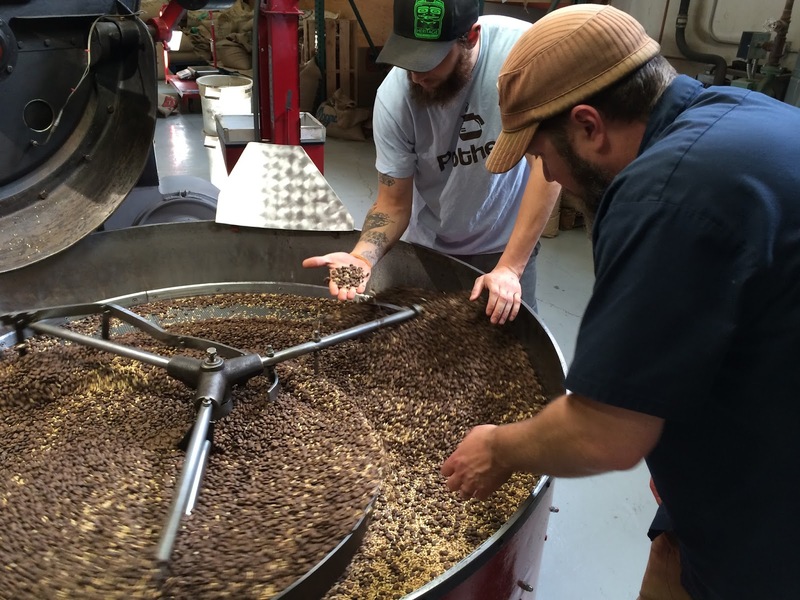 JUNEAU, Alaska (Oct. 1, 2015) – Alaskan Brewing Company teamed up with Juneau-based Heritage Coffee Roasting Co. to craft a new beer that accentuates the richness of coffee and the smoothness of premium malts. The result is Alaskan Heritage Coffee Brown Ale, the latest of the Pilot Series of beers, available starting in October in 22-ounce bombers and on draft in the 17 states where Alaskan Brewing is distributed. That subtle flavor allowed for a radical technique that required close collaboration between the brewers at Alaskan and the roasters at Heritage. Heritage Roasters worked with Alaskan Brewers to sample coffees in order to find a blend that would bring out chocolate, caramel and honey in the final beer. They decided to use Heritage’s signature Brazilian blend “Paixao” (Portuguese for passion) which was cold-brewed to reduce acidity. This cold-brewed coffee was added at multiple stages throughout the brewing process of the beer, in order to infuse it with a deep and rich coffee flavor and aroma. Heritage Coffee and Alaskan Brewing have common roots in Juneau, where Heritage founder Grady Saunders first started bringing freshly-roasted coffee to the community in 1974. Saunders was one of the people that helped inspire the idea of smoking malts to create the award-winning Alaskan Smoked Porter in 1988. First sampled at this year’s Great American Beer Festival, Alaskan Heritage Coffee Brown Ale is already garnering rave reviews, with at least one reference to it being part of a “next level” of coffee beers. For more information, check out Alaskan Brewing’s website at alaskanbeer.com/our-beers/pilot-series-heritage-coffee-brown-ale/.